Guests can soak up the opulence of a grand mini-palace at this intimate luxury hotel, whose six suites are all lavishly appointed, and where staff go the extra mile to ensure guests have a memorable stay. 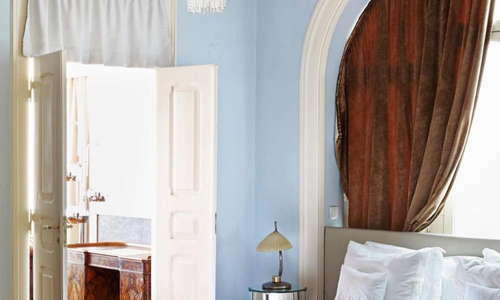 Located in Lisbon's historic hilltop Alfama neighborhood; close to the castle, cathedral and other major sites, the 1909 palacete is packed with fascinating period detail, including stained glass windows and original azulejo tiles. The public spaces are beyond grand, and with just six suites, guests will feel as though they have this spectacular building almost to themselves. 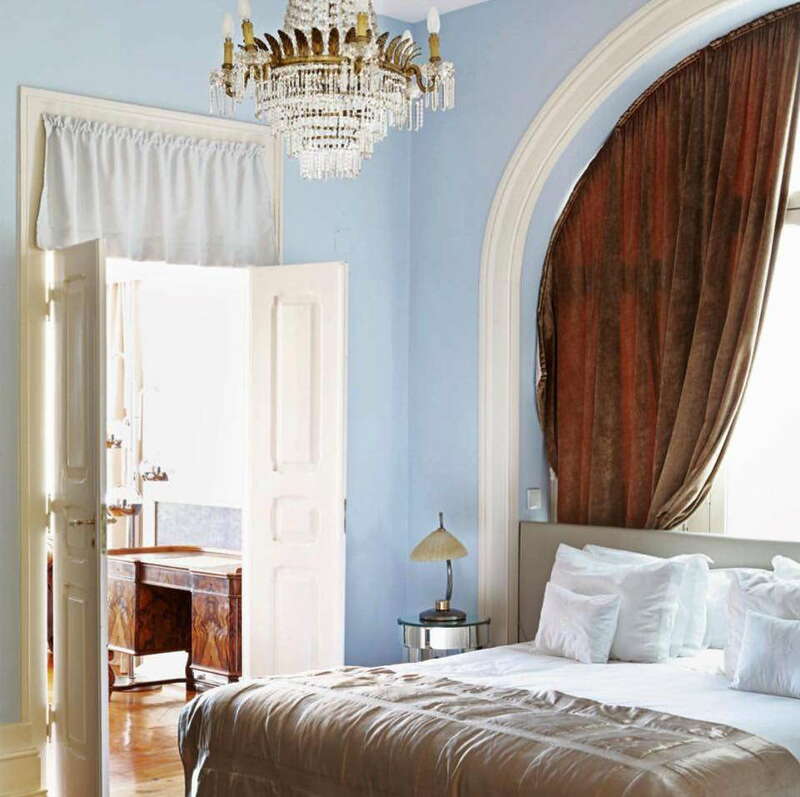 Suites are vast and lavishly appointed, and some have great views over the old town and across the River Tagus, and the hotel's gorgeous gardens provide welcome respite from the steep cobbled streets of this ancient neighborhood. YOU SHOULD KNOW This isn't a good option for anybody with limited mobility,as rooms are spread over four floors, and there's no elevator. The plush, spacious suites have beds fit for Portuguese royalty and have large living areas as well as the sleeping quarters. 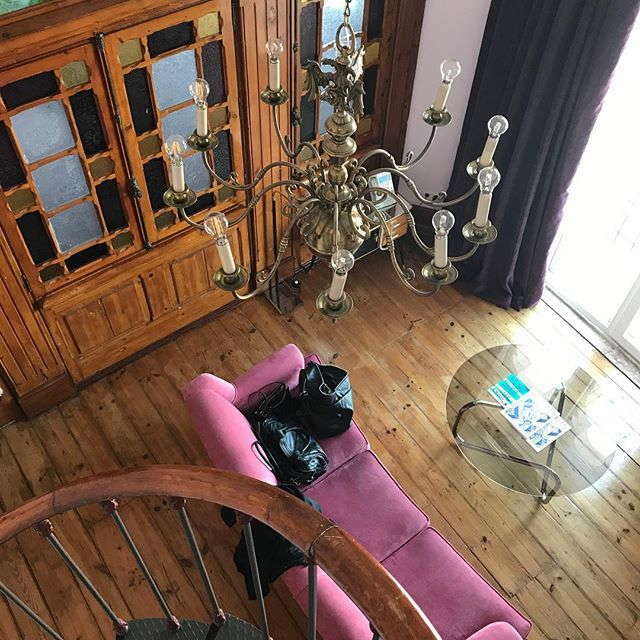 Each suite is unique and kitted out with vintage furnishings and bespoke modern pieces, and some have terraces with terrific city views. 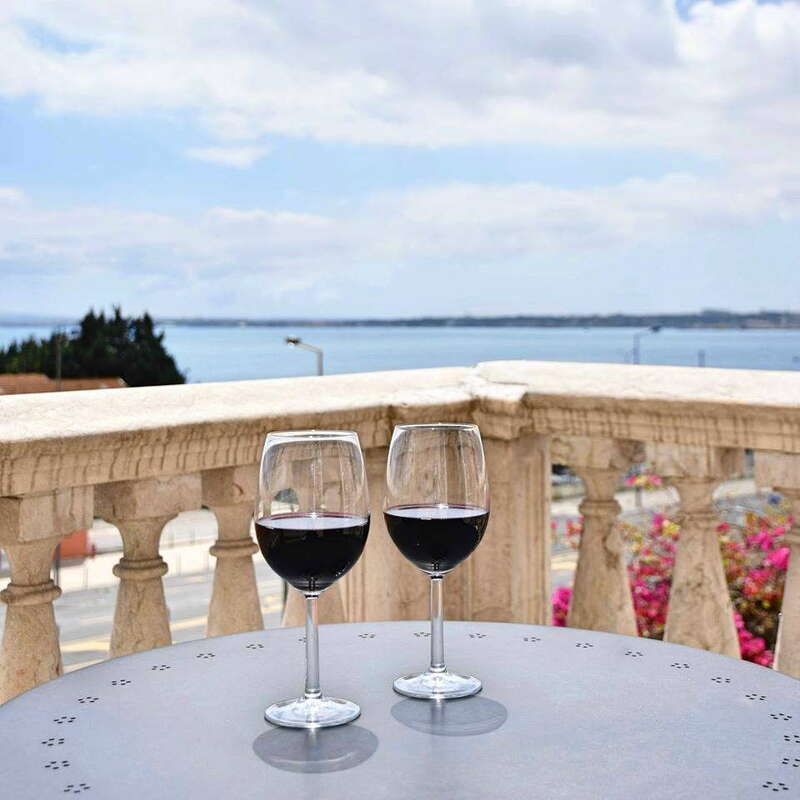 Grandest of all is the Grand Torreão suite, which is spread over three floors and has a top-floor viewing room complete with a telescope for admiring the 360-degree views. The vibe may be pleasingly retro, in-room amenities are fully modern, with speedy Wi-Fi, satellite TV with lots of English language channels, and mini bars (the contents of which are free of charge!). The bathrooms are as huge as one might expect given the scale of the suites, and all feature free-standing tubs, rainfall showers, and plenty of free toiletries as well as comforts and conveniences such as robes, slippers and hairdryers. It's near-impossible not to be impressed on entering the building, which is every bit as richly-decorated as the extravagant exterior suggests. 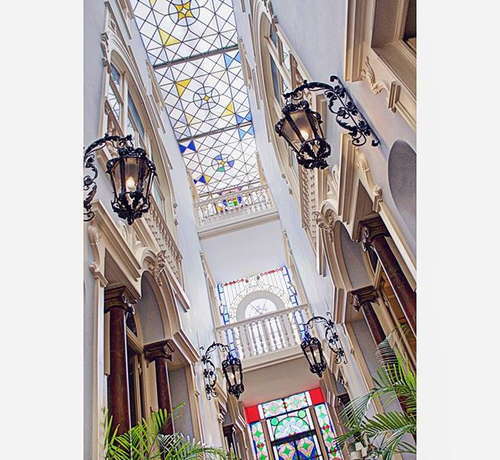 A piano sits proudly in the corner among plump green furnishings, chandeliers hang from the ceiling, and stained glass windows cast rainbows on the antique tiles. 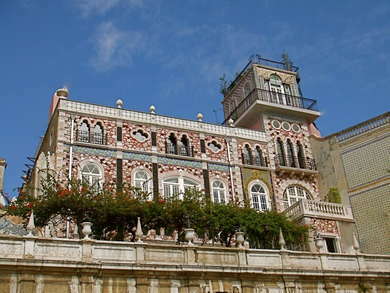 Like the architecture, the decor in the lobby and the public spaces is an eclectic mix of styles, including neo-baroque, neo-Moorish and Art Nouveau; and guests can make themselves at home in a lavishly-decorated library, former Smoking Rooms (now strictly smoke-free) and a particularly opulent Hall of Mirrors, filled with Venetian looking glasses. Portuguese breakfasts rarely disappoint, and the version served here is enough to keep you going right through until dinner. The vast selection of hot and cold dishes can be enjoyed on the terrace, Dining Room or Mirror Room, and guests can choose what time they want to tuck in. 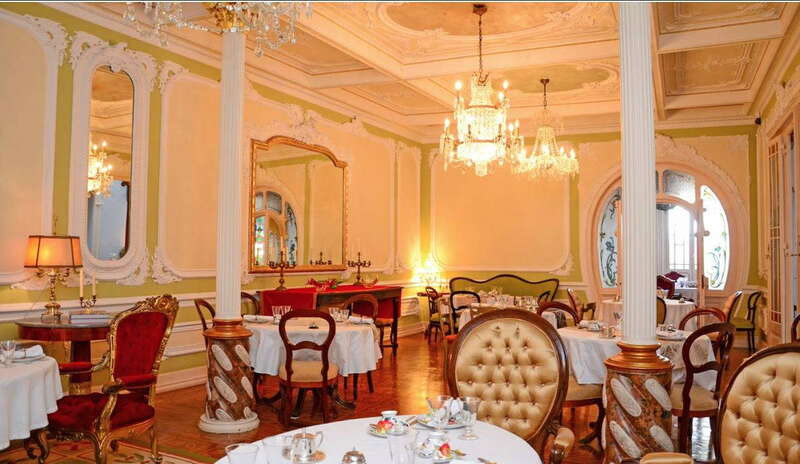 The hotel also has a popular Tea Room, open to non-guests, which serves a very popular brunch buffet as well as afternoon tea and cakes on the terrace or in the dining room. There's no bar at the hotel, but "real" (see: alcoholic) drinks are served alongside the tea and coffee at the tea room, and guests can drink their way through the mini-bar free of charge. Exploring the medieval nooks and crannies of Alfama is a thoroughly enjoyable experience, with cute cafes, viewpoints and impressive old buildings at every turn. 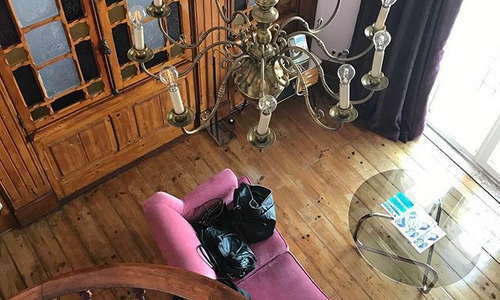 The hilly location means guests should leave heels at home and be prepared for some steep climbs, but passing buses and trams can take the strain if the cobbled streets become too much of a challenge. It's a 10-minute walk to Santa Apolonia train station, the departure point for long-distance trains, and less than 10 minutes downhill to the waterfront metro at Terreiro do Paço (walking back up is a little more taxing in the heat of summer). The airport is a 20-25 cab ride away (the hotel can arrange transfers on request). Fans of Fado music are in the right place. 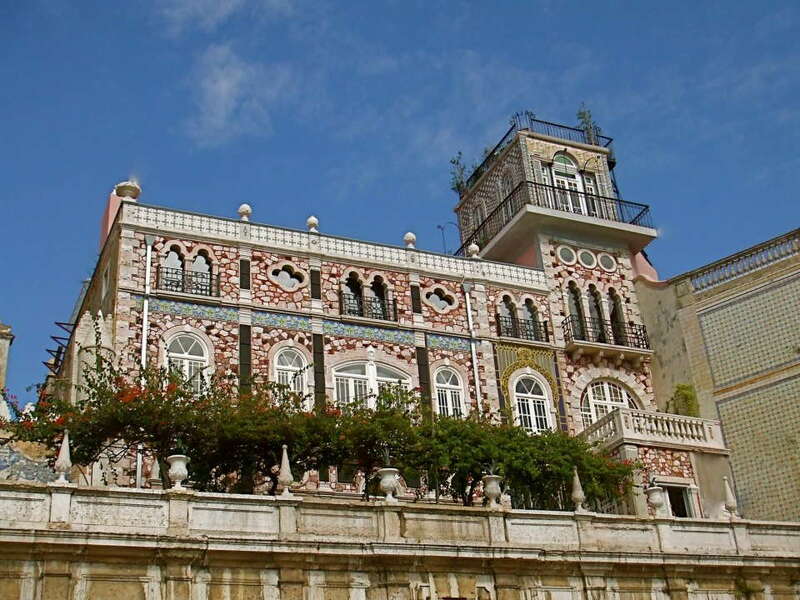 Alfama is Fado heartland, and there are lots of spots to enjoy a meal and a stirring musical performance. 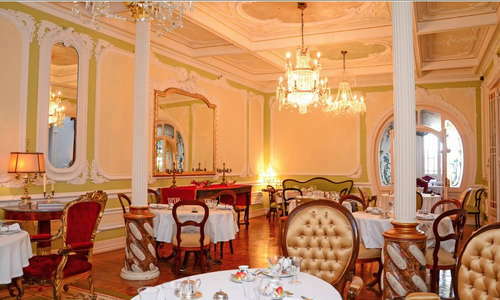 Try Casa de Linhares (5-minute walk) for top quality singing and good food in an atmospheric setting. At the other end of the scale, Pois, Cafe is a hugely popular spot for relaxed coffee, cakes, and light meals, in a boho-chic setting complete with lots of books to flick through. 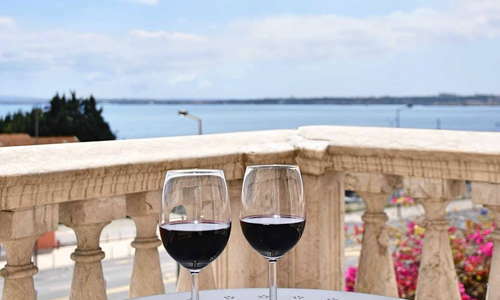 The Alfama district is packed with bars, many of them with outdoor seating that is ideal for soaking up the lovely views. Locals and tourists gather at Miradouro das Portas do Sol (5-10-minute walk), where kiosks sell cocktails and sangria in summer and hot spiced wine in winter. If rain stops play, Duetos da Sé (3-minute walk) is a lively option for food, drinks, and live music. A stay at this hotel is an experience like no other, thanks to the beautiful building, fascinating architecture and interior design, and service that really goes the extra mile. The location is fantastic for sightseeing, and the views are to die for.